Visit the glacial ice spilling off of the Northern Patagonia Icefield. Ride along scenic valleys, lush forests, craggy mountain trails and sandy beaches, all with the peaks rising 10,000 feet above you. 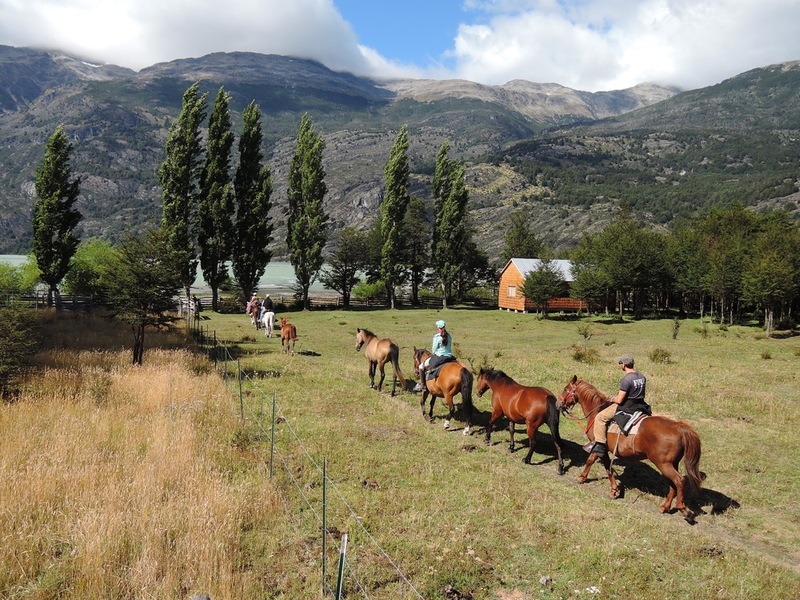 The Patagonia Frontiers wilderness ranch combines extensive private terrain within a unique location that offers access to unlimited riding opportunities. Whether your horseback outing lasts for an hour or a week, our rides are designed to provide you with an experience that you will treasure. 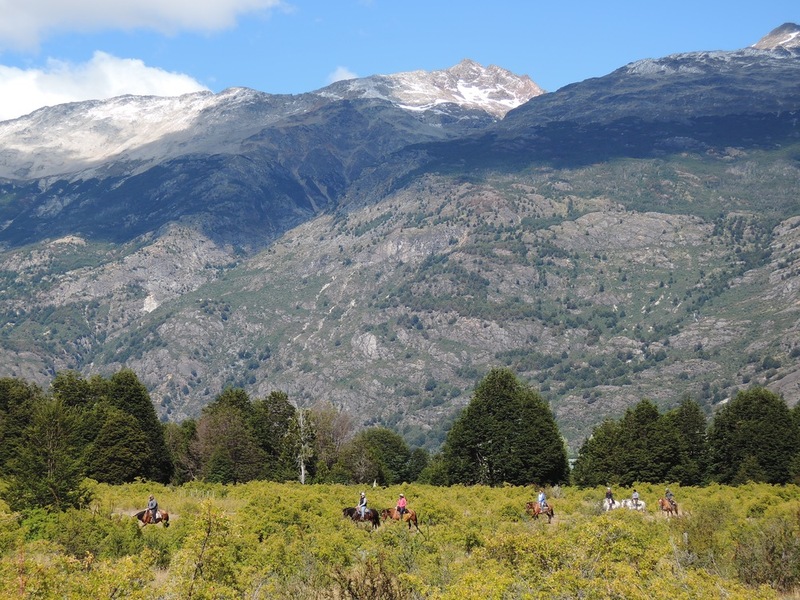 The scenic valleys, lush forests, and mountain peaks offer a wide variety of terrain in which to ride, and it’s not uncommon to see soaring condors or even the elusive huemul, the endangered Chilean deer that appears on the national symbol. There are opportunities for long canters or to gallop the horses in open terrain if you so desire, but this is not required. 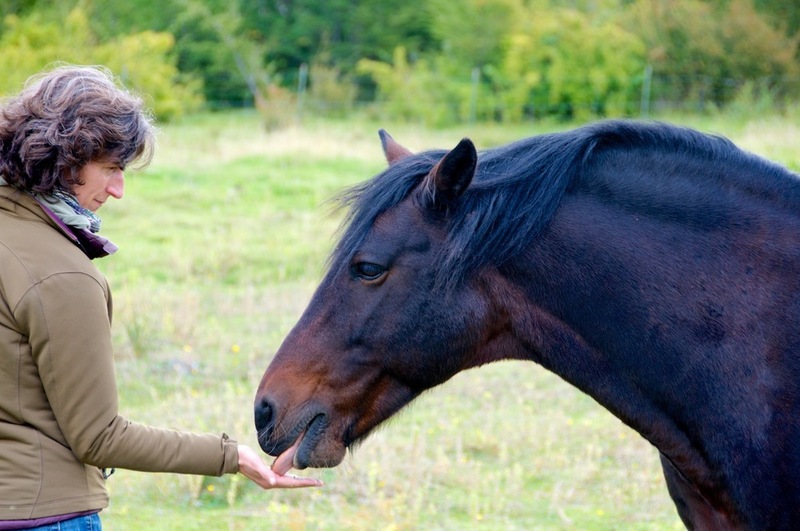 New riders can be confident that their horses are bred for the conditions and are trained to be easily controlled by novice riders. 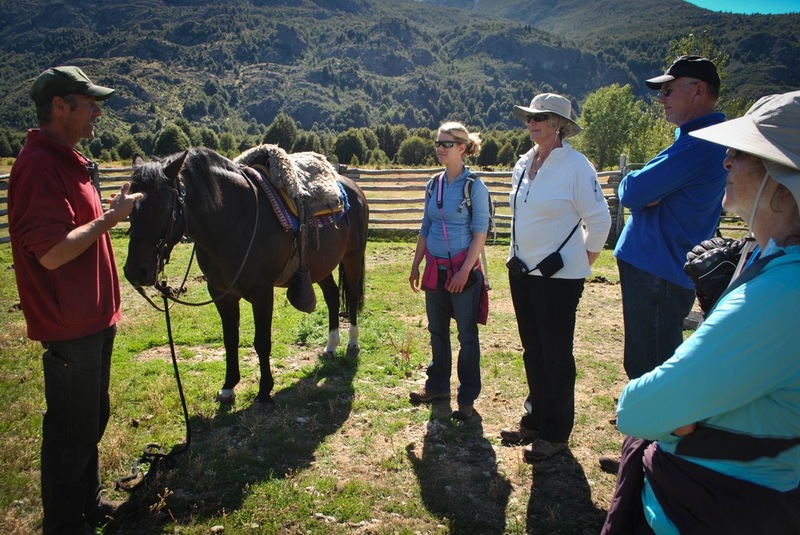 Our horseback excursions range from simple trail rides to multi-day horse trips that include packhorses to carry the food and equipment. A favorite ride amongst our guests is a multi-day outing to visit the glacial ice spilling off of the Patagonia Icefield. We also offer rides with boat support to allow the comfort of returning to your same bed each night for all or a portion of the trip. We can combine any trip with a selection of additional activities such as fishing, horse-riding, whitewater rafting, wildlife viewing, and agritourism. We end all our trips with a customary Chilean asado (barbeque). Guests, staff, and neighbors traditionally all share in this feast of lamb, slow-roasted over an open fire, new potatoes, fresh salads from our greenhouses, bread and wine. Don't be surprised to find yourself staying up late listening to the strumming of a guitar and a soft Spanish melody as the horses' nicker in their home pasture. 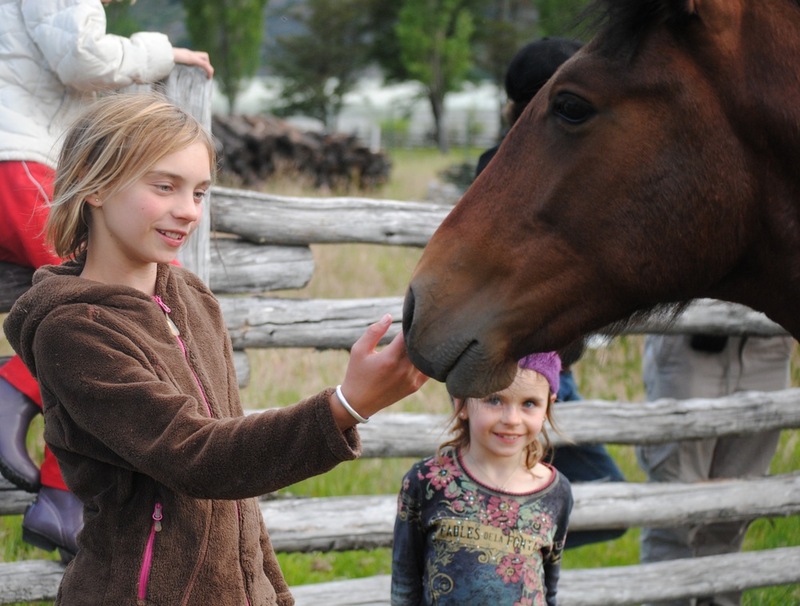 We invite you to take a look at our 9-, 12- or 14-day horse riding itineraries. 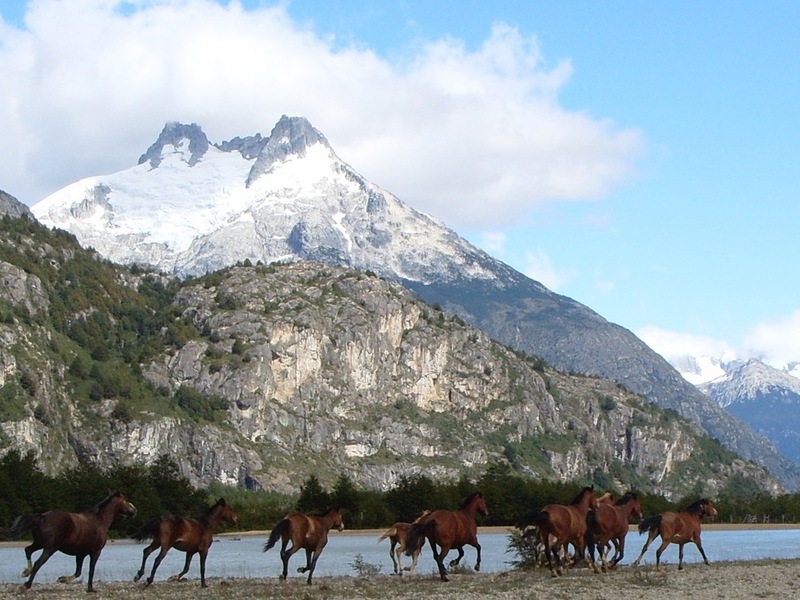 In Patagonia, horseback riding is an integral part of the traditions, customs and daily affairs of a unique and colorful culture. 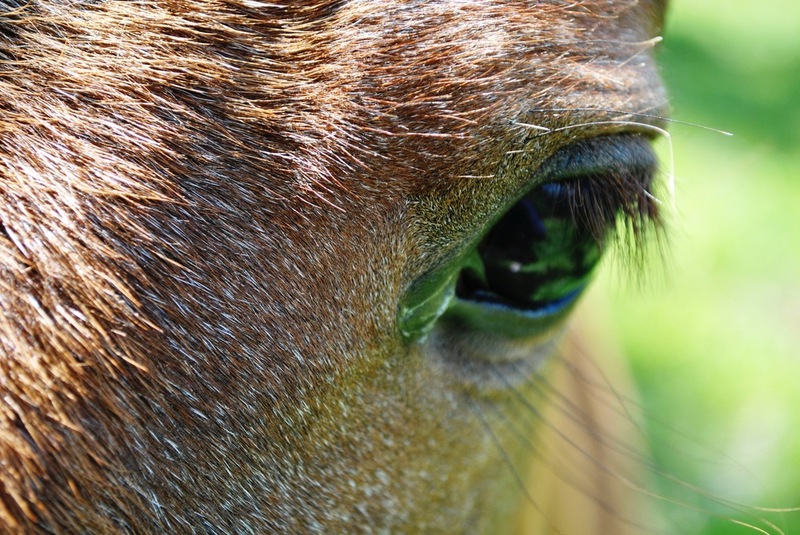 The horse is one of the most salient features of everyday rural life and visitors will soon notice the ubiquitous mount, saddled and waiting outside of each sparsely scattered home. 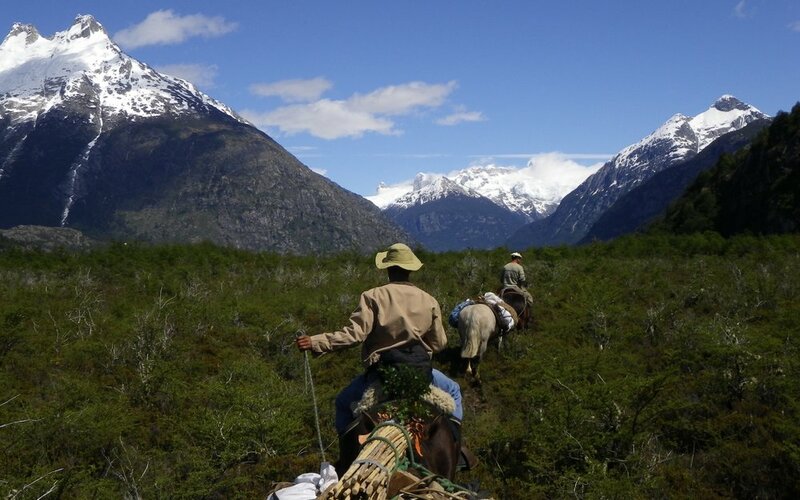 To ride a horse in the vast expanse of wild Patagonia is more than a simple adventure, it is also a chance to become immersed in the distinctive and gracious culture of the local cowboys, or gauchos. The Gauchos and their families, with their distinctive clothing and saddlery, local knowledge and skills, offer a glimpse into one of the most traditional cultures of Chilean society. 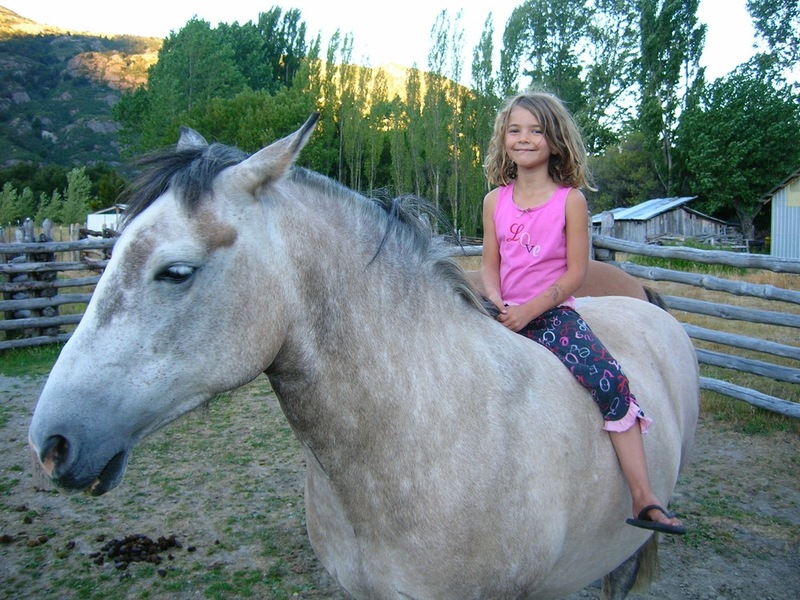 In Patagonia the relationship between horse and rider begins early in life. It is no surprise to come across a young child atop a horse, riding alone, confidently along a mountain path. Mothers and fathers often ride with younger children on the saddle in front of them, making their way to visit relatives or neighbors. Often, the only way to bring commodities to market and supplies back home is via multi-day journeys with a string of packhorses. Local riders are expert packers, loading pigs, chickens and cheese that form the packhorse loads to town and are replaced with basic foodstuffs, or home goods on the return home. While the main southern highway opened the region to additional vehicular transport some ten years ago, for many families the principal means of access between ranches, towns and services remains a network of trails, river fjords, and simple bridges. Most families in the area raise sheep or cattle, and this same series of trails provide the only means of bringing their herds to the marketplace. First you hear the gauchos ever-present work companion, the herd dog, barking and yipping, followed by the low mewing of cattle on the move. Finally, bringing up the rear and holding the whole group together comes the hard-working Chilean cowboy, born to the saddle. 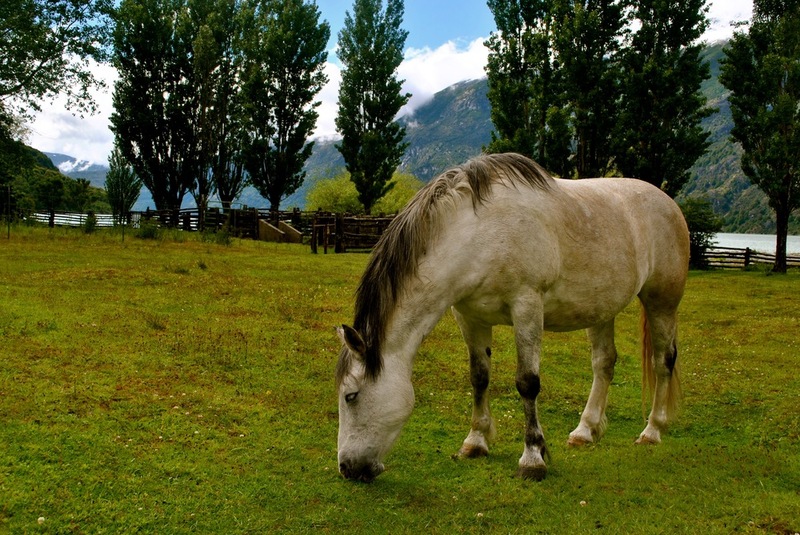 Horses in Patagonia are typical of the native Chilean Criollo breed and Criollo crosses. The Criollo is well known as an even-tempered, surefooted mount with good speed and excellent endurance. They are just the horse that are needed for the varied terrain and vast frontier spaces of the region. 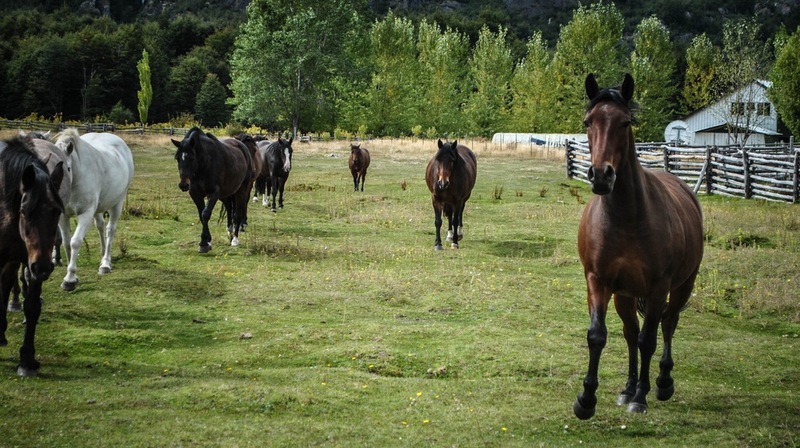 The horses we use at Patagonia Frontiers live on the ranch and in the valley. 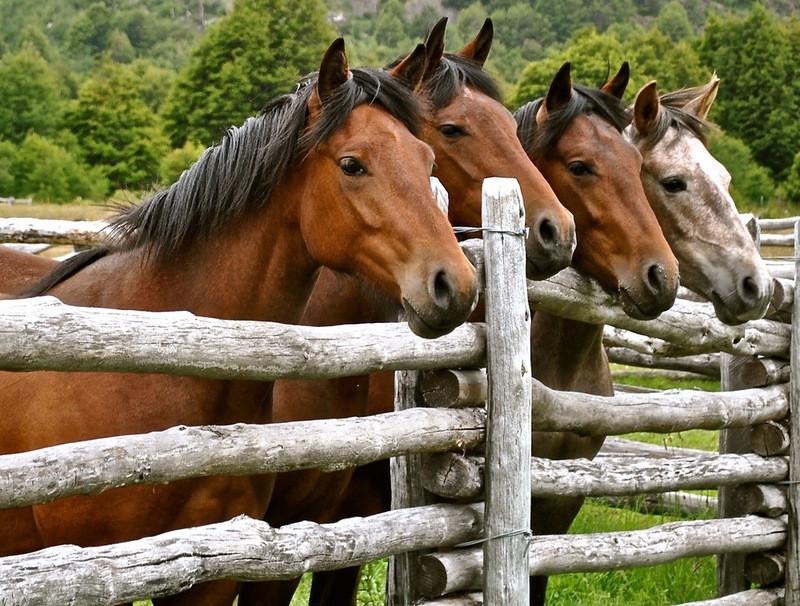 Our horses have been raised and trained under our direct care and supervision and are well known to us. This allows us to match the best horse to each guest. If you are new to horse riding, perhaps you’ll ride Tango, as friendly and as good-natured a mount as you are likely to meet. If your experience leads you to desire a highly responsive mount, then Paella’s training and lineage may be to your preference. 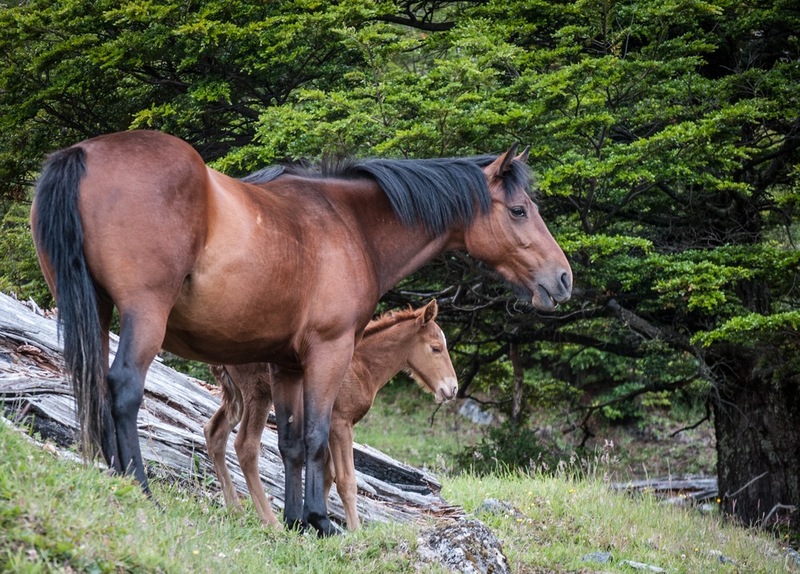 Whatever horse you ride, we’ll spend plenty of time introducing you to our equine partners and familiarizing you with the comfortable Chilean saddles and tack.